Discover more about the sheds, lock-ups and monuments that have become familiar over the decades and that remain here to this day. 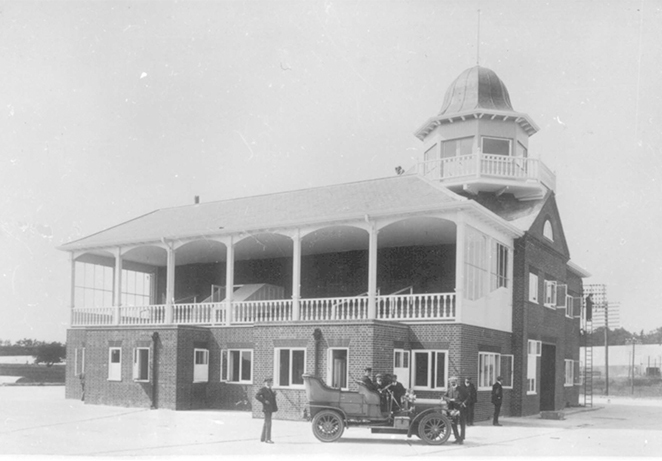 The green-domed Clubhouse was built in 1907 to accommodate the race track officials such as stewards, the Clerk of the Scales and the Clerk of the Course. 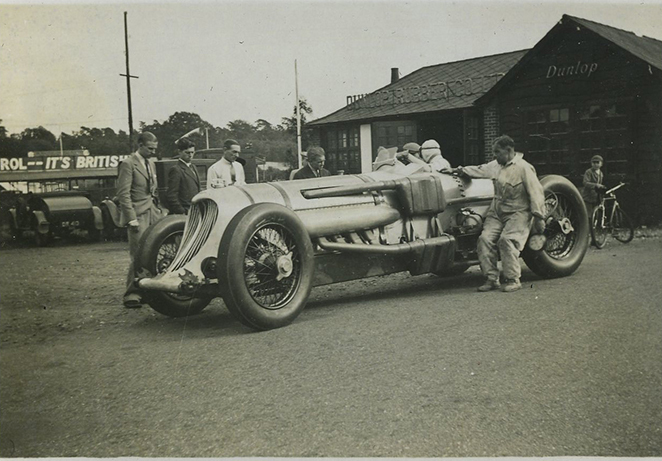 As racing at Brooklands grew in popularity, a community of racing specialists grew around the Clubhouse and Paddock to support racing activities on the track. 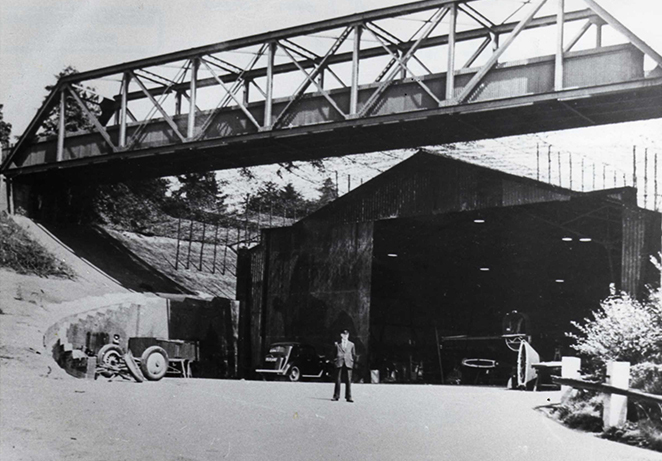 In 1909 the BARC cleared the land in the centre of the track to create one of Britain’s first aerodromes. 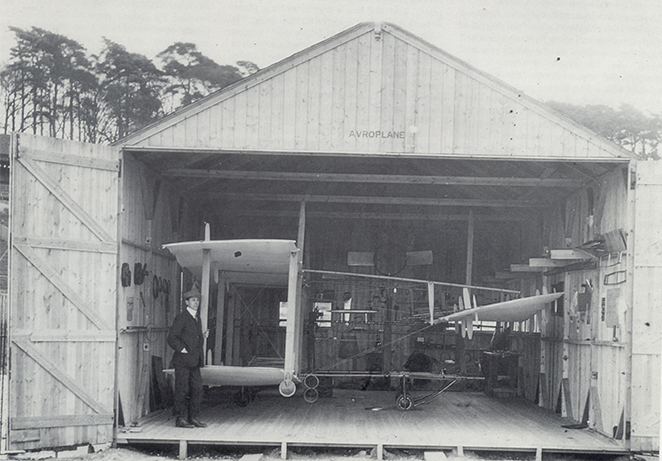 It housed many of the greatest pioneers of British aviation from 1910 to the outbreak of WW1. The world's first purpose-built motor racing circuit was built by landowner Hugh Locke King on 330 acres of farm and woodland on his estate at Weybridge in Surrey. 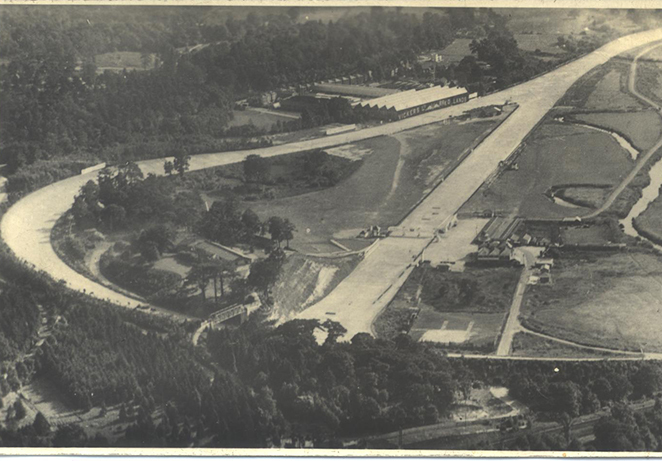 As a major centre of aircraft production, Brooklands was a clear potential target for enemy attack. To defend against such an event, a series of defences were built around the site. 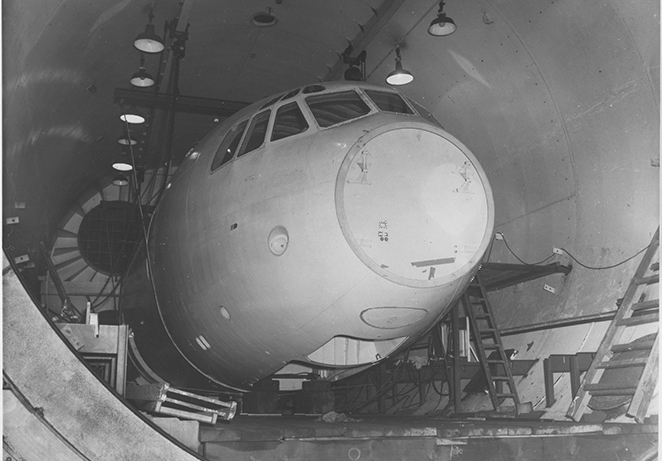 The Barnes Wallis-designed “Stratosphere Chamber” was built in 1946 to investigate high-speed flight at very high altitudes.